This had been on our list and we hadn’t made it there yet so this was the perfect way to spend the last full weekend in Bluff. Do you see a pattern? I feel like I say that a lot…. 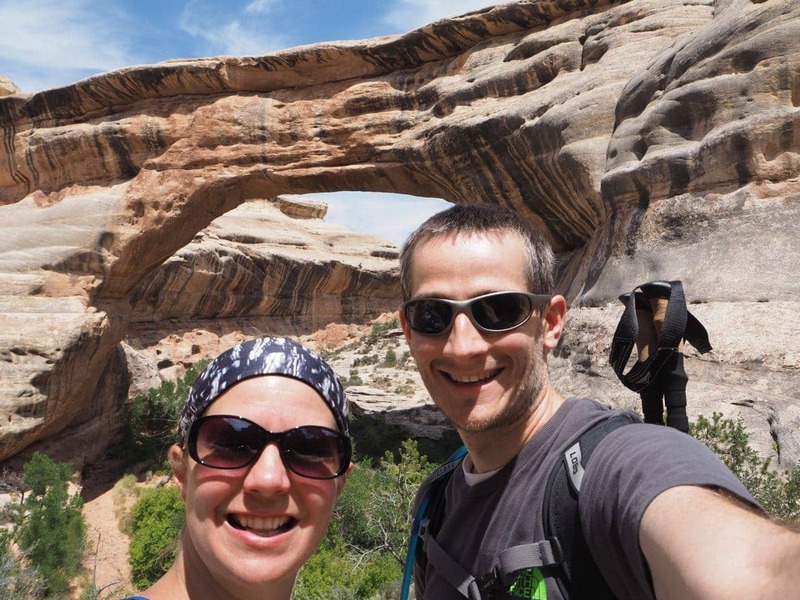 “on our list and hadn’t made it there yet!” I cannot stress enough how much there is to do in Utah! Natural Bridges National Monument seemed to be one of the larger attractions in the area (and it was about an hour and 15 min. from where we were staying) so we knew we needed a full day to explore the park. 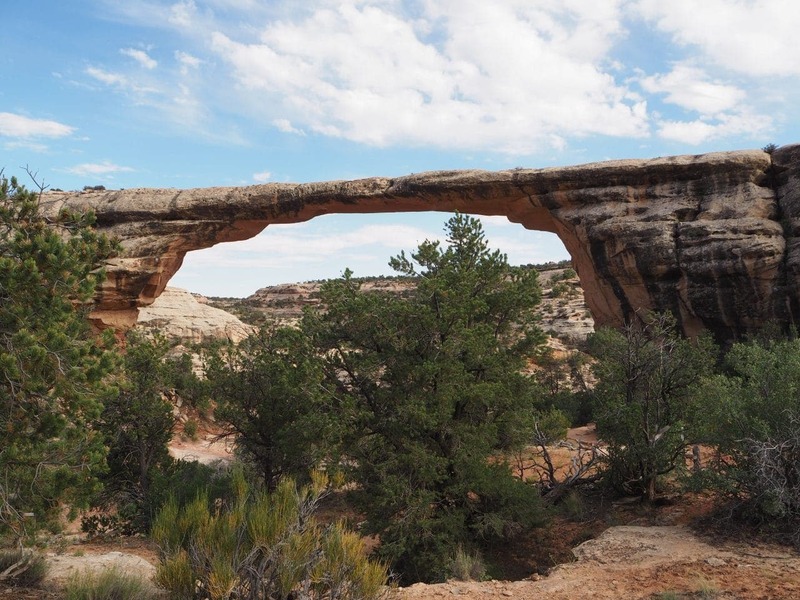 Declared a National Monument in 1908, Natural Bridges features three bridges that have been formed by millions of years of water and wind erosion. The three bridges are named for the Native Americans who once lived here. 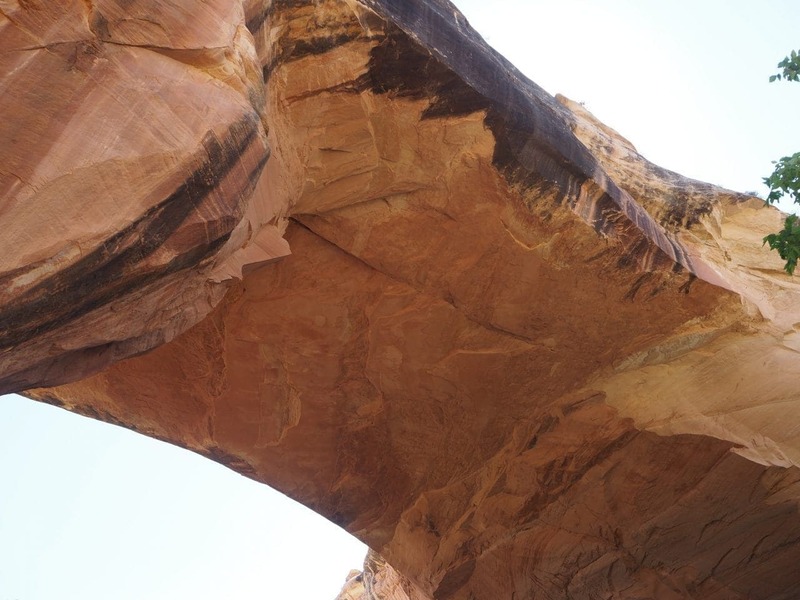 Although there were several names for the bridges prior, in 1909 the Hopi names Sipapu, Kachina and Owachomo were given to these structures. 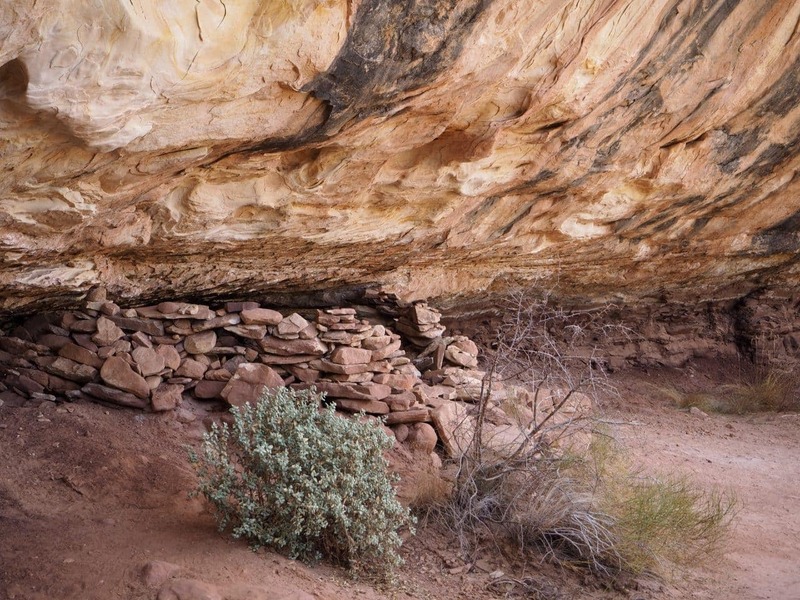 Sipapu (SEE-pa-poo) means “the place of emergence,” the Hopi believe this is the entryway their ancestors came into this world. 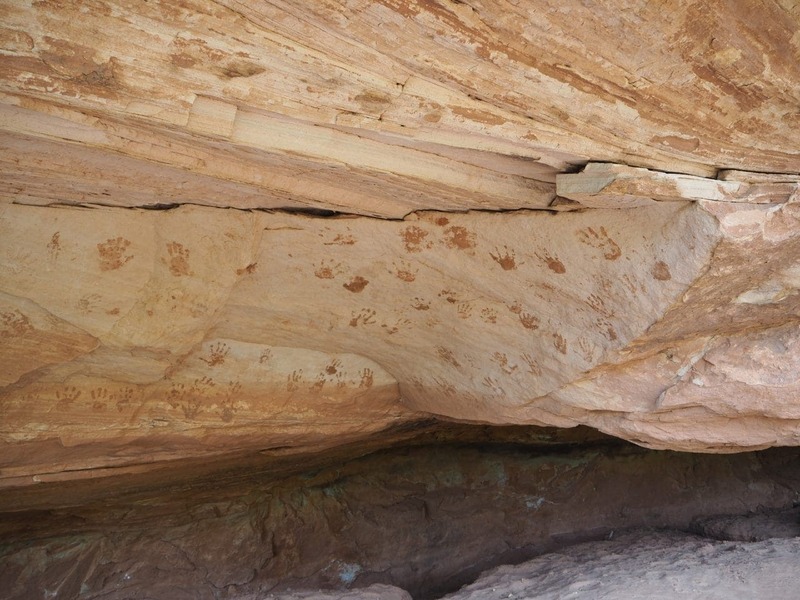 Kachina (Kuh-chee-nuh) is named for the rock art that can be found on the bridge that resembles symbols commonly used on kachina dolls. 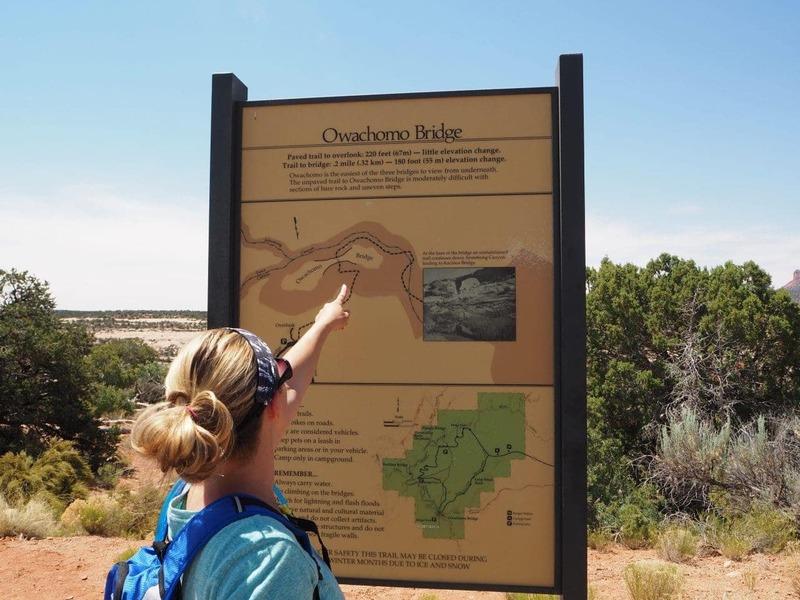 Owachomo (O-wa-cho-mo) means “rock mound,” a feature atop the east abutment of the bridge. 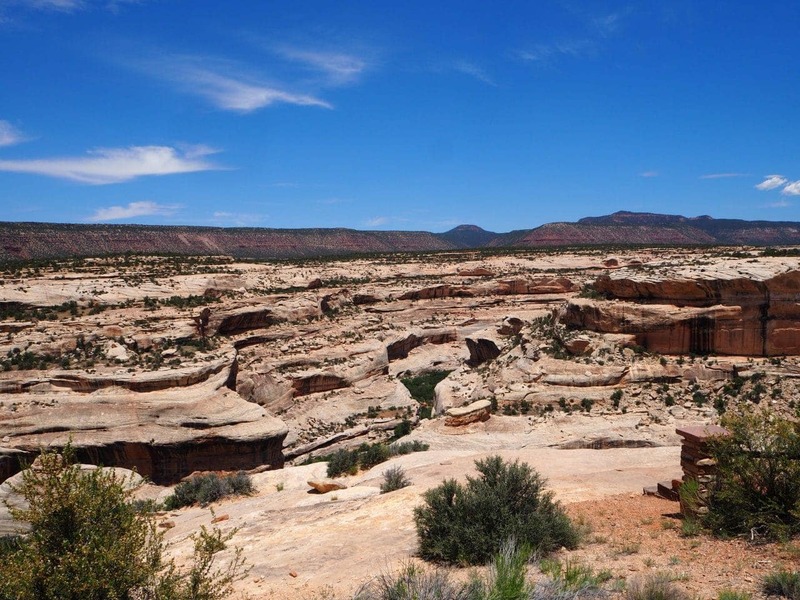 Natural Bridges National Monument was also declared Utah’s First Dark Sky Park in 2007 due to it’s location and dedication to zero light pollution. Most people live in areas where the Milky Way isn’t visible, this isn’t the case in Utah. 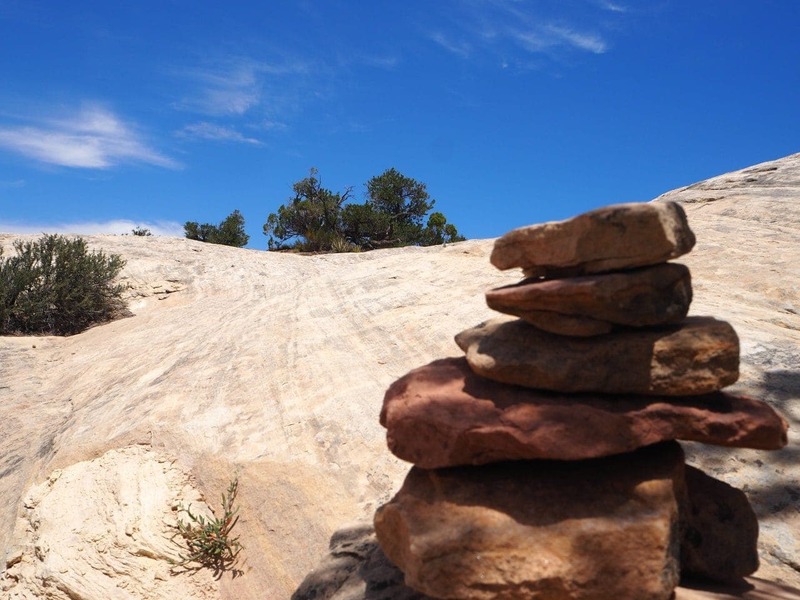 Utah has many certified dark sky parks, as well as, other areas noted for their excellent stargazing. 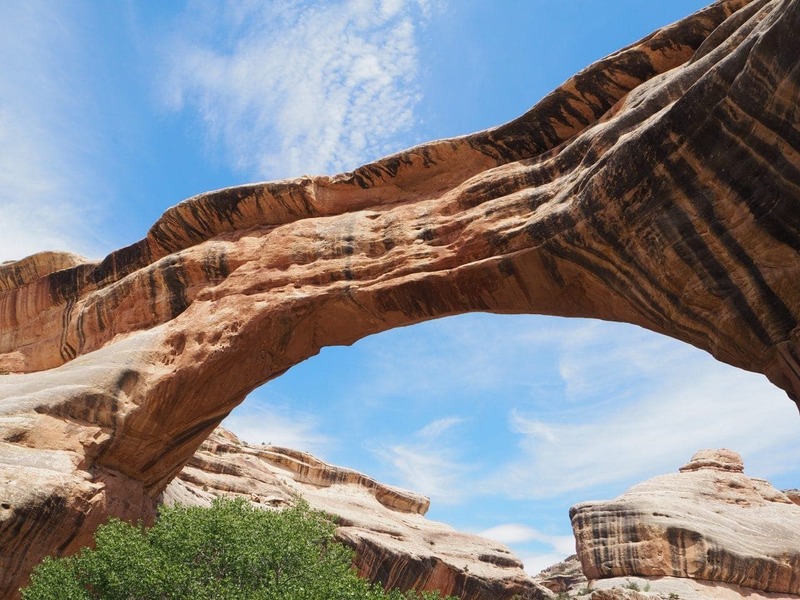 I can only imagine how beautiful Natural Bridge would be with each phase of the moon. While researching online we began to form a plan for the day. It’s always a good idea to have background knowledge and then double check your plan with the park rangers at the visitor center. This way you know your options and get that last minute information to make sure it’s safe. There are so many factors with safety that you need to be aware of the current condition. For example; heat warnings, flash-flooding concerns, wildlife recently seen in the area, work being done in the park, closed areas, etc. Plus the rangers will give you tips or commonly made mistakes that can really impact your trip. Our plan was to check in at the visitor center, drive the main length of the park to the Owachomo Bridge parking lot. 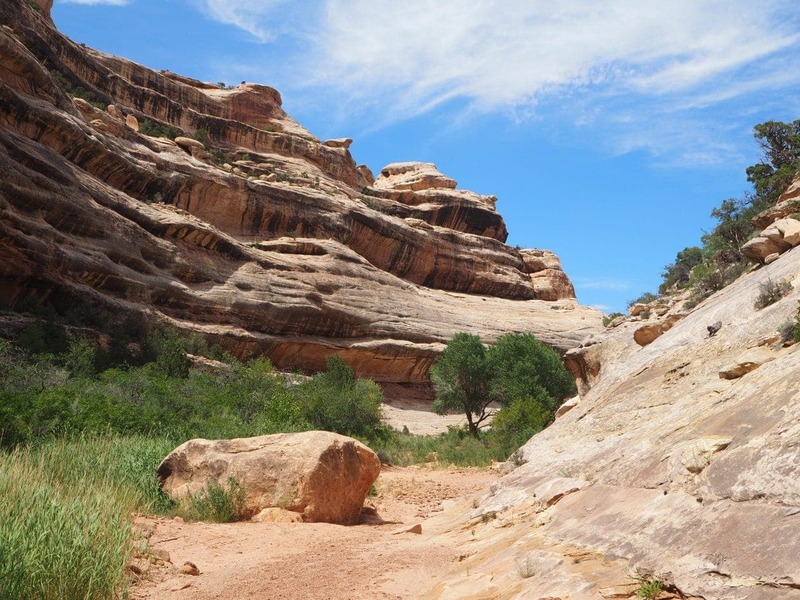 We’d leave the jeep there and walk along the hiking path to the Sipapu Bridge overlook, about 2.5 miles. We’d then descend into the canyon, beginning the 8.6 miles hike. 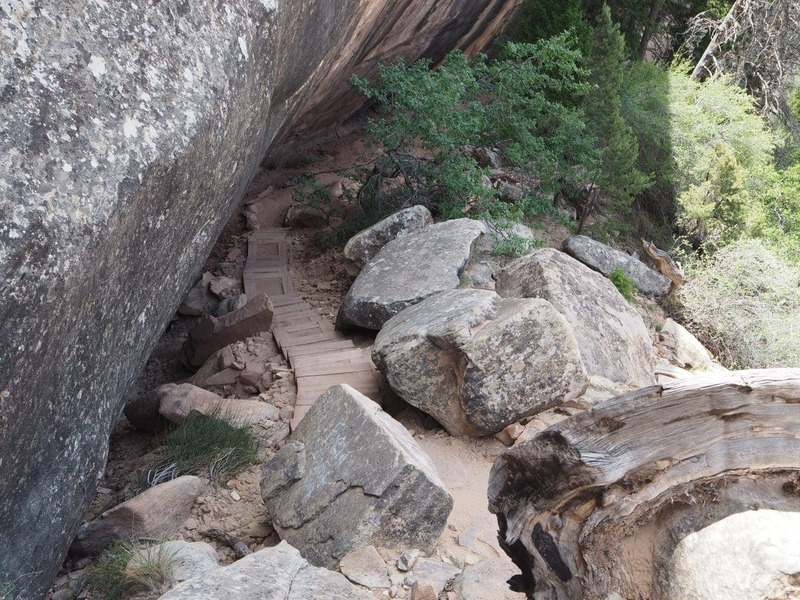 We would be walking along the canyon floor to the Kachina Bridge and end our trip where we started by ascending at the Owachomo Bridge back to the jeep. The full loop hike is incredible! 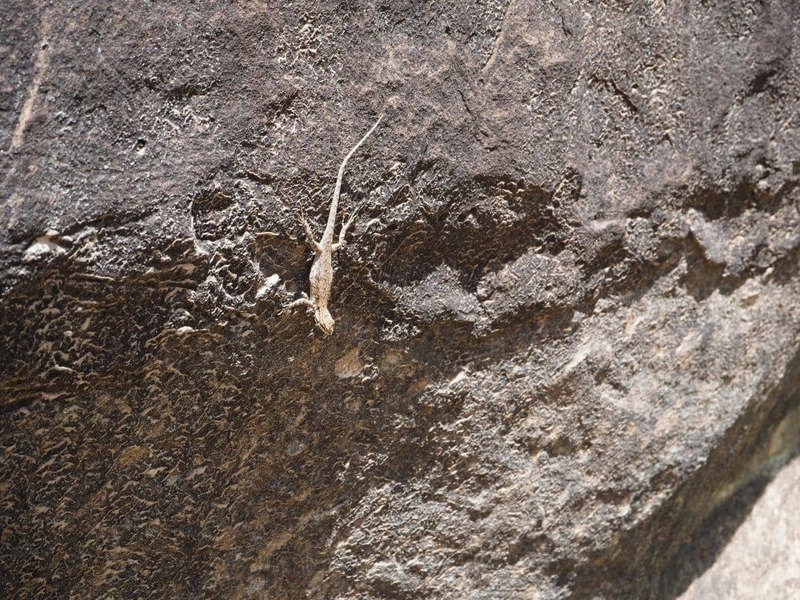 There is such variety in what you see and have to do to complete the hike. You might think hiking would get redundant, but there’s always something (or several things) that make each hike interesting and special. 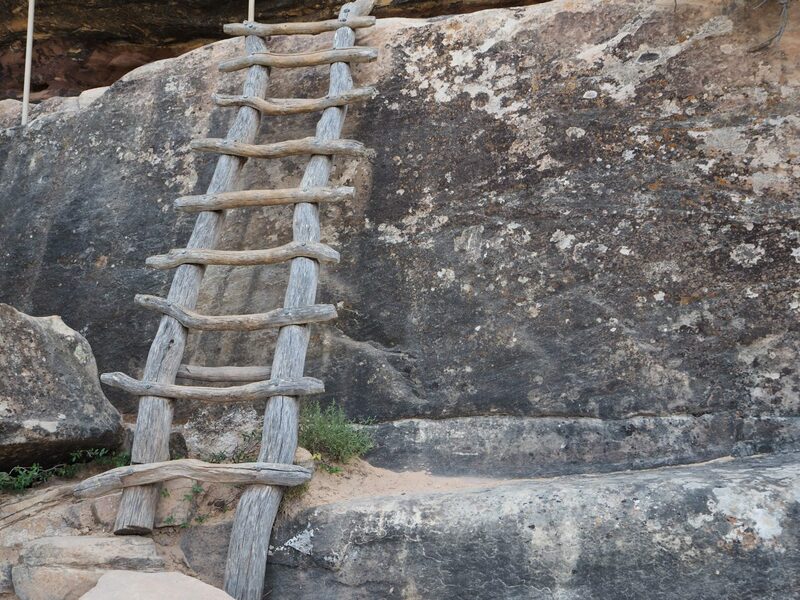 On this hike, we climbed a few wooden ladders. They are safe, but one was quite long and steep so it was a little scary at first. This was the first time we had to use ladders to go both up and down. 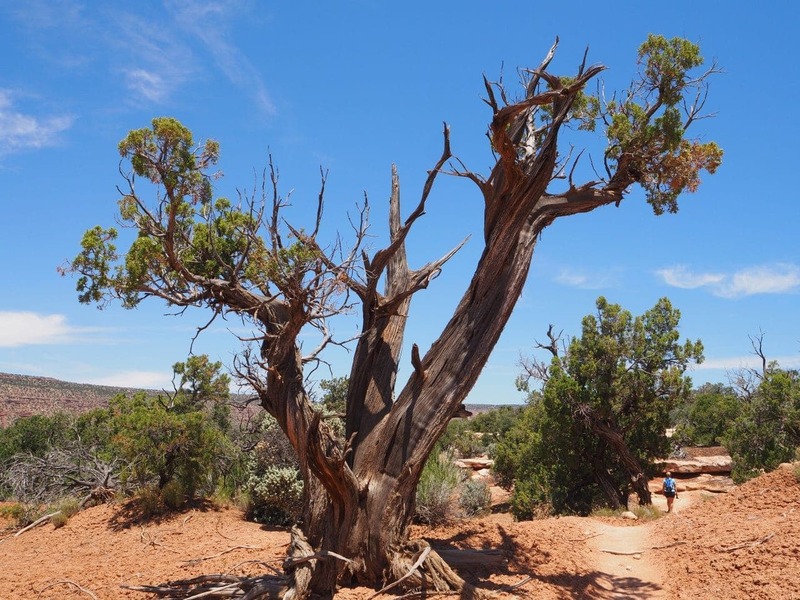 This hike also allows you several viewpoints and perspectives of the natural bridges. It’s amazing to see the bridges from above, directly across and from below. 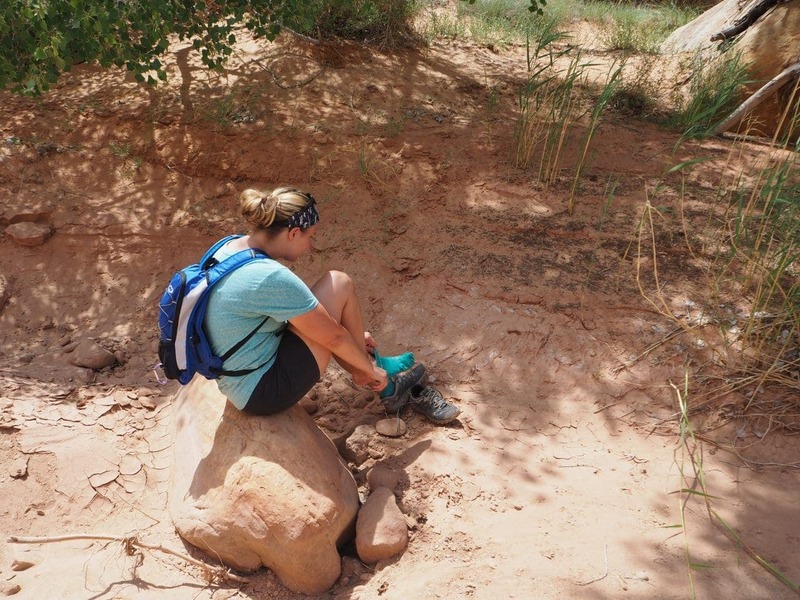 It was incredibly hot this day and we were hiking 11 miles with very little shade. To make things more difficult, there was quite of bit of sand we were walking in and my hiking shoes are ventilated for water. This meant that the sand entered my shoes and socks, putting significant pressure under and on top of my feet. The sand pooled under the arch of my foot, pushing it upward. Each shoe began to feel as if it were two sizes too small. I was constantly stopping to empty my shoes, but immediately they would fill again. It wasn’t long before my toenails, especially my big toes, became very sore and I was worried about it bleeding. The heat + VERY sore feet + 11 miles + started to running low on water = A VERY GRUMPY LINDSEY!!! Unfortunately, this really impacted the hike for me. I’d love to do it again, because it’s truly amazing, but at the time I was pretty miserable. Later in the week, as we drove back to Pleasant Grove, Keith and I were reminiscing about all that we saw and did on the trip. 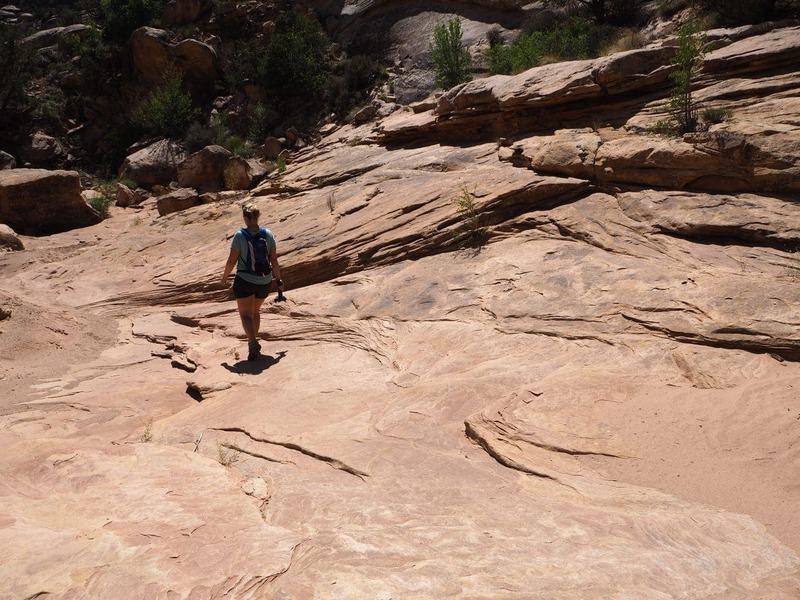 I asked what his favorite part was and he responded, “Hiking at Natural Bridges.” If looks could kill….. I thought he was joking at first, knowing it was so miserable physically for me. Nope! That was his best day of the entire trip and my worst 😉 There are times that we are complete opposites of each other!